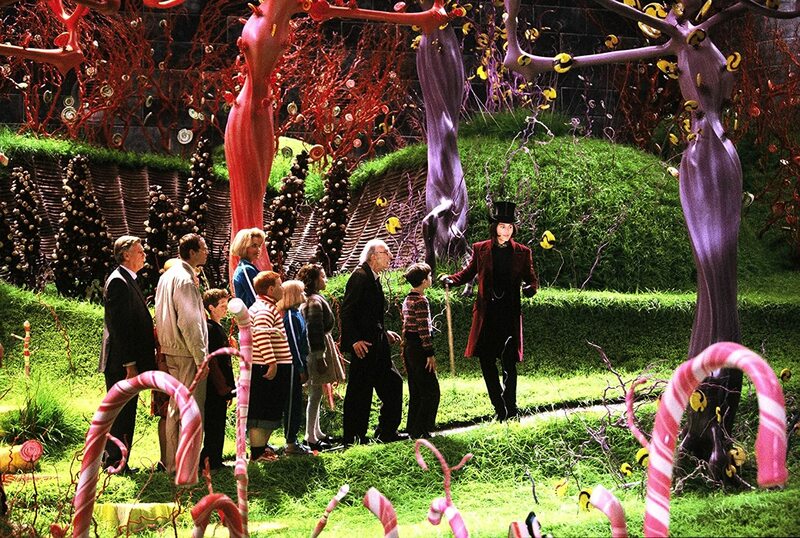 Willy Wonka: Do you like my meadow? Try some of my grass! Please have a blade, please do, it’s so delectable and so darn good looking! Charlie Bucket: You can eat the grass? Willy Wonka: Of course you can! Everything in this room is eatable, even *I’m* eatable! But that is called “cannibalism,” my dear children, and is in fact frowned upon in most societies. I’ve had the (mis)fortune of seeing some incredibly ignorant comments on social media lately. I know, what’s new right? But in particular, I’ve been shocked by a level of poison directed towards the Christian teacher Beth Moore over some statements she tweeted out. There was definitely some hurt in my soul as I watched some Christian men ignore the simple truth of what she was saying and instead twisted her words to fit their preconceived agenda and beliefs. There was no attempt at understanding, just an overall spirit of bullying. If you start a statement with “I’m not a racist/sexist/etc but…”, you should just stop right there. Because what you are about to say is racist/sexist/etc. You are not fooling anyone. From what I can see, the opposition against Beth Moore seems to be that she’s female and wise which tends to make some ignorant men upset. I am not an expert on the woman’s role in the church, but I see examples in the Bible of God raising up women when the men are not doing their job. So men, if you think that a woman should not be speaking out, then get introspective and ask God if you’re not saying what He wants you to say. Now that I’ve certainly angered some folks, I want to talk about chewing our fingernails. It is not a clean habit. Those that do it may be subtle or obliviously obvious about it. The damage is gradual but the impact is evident. It causes our hands to be ugly and our reputation is diminished. And our hands are not clean! By putting our fingers in our mouth when they are dirty, we expose ourselves to all kinds of dirt and germs that can harm our bodies. I think chewing our nails is a good metaphor for what is happening when the Christian church attacks itself. It may seem small or without impact. Making statements about someone on Twitter doesn’t harm anyone, right? But much like when we chew our nails, the world can see the truth. We are showing those outside the church that we are unhealthy and attacking ourselves. And by actively engaging in divisive and strife causing conversations, we are opening ourselves up to attacks from the enemy. The devil exalts in division and bitterness because then we are not focusing on Jesus. My wife actually disagrees with the “chewing nails” analogy though. She takes it a step further. She views the attacking of our brothers and sisters in the church as the same as a person who decides to actively chew on their arm or leg. It is stupid, harmful and will result in irreparable damage to our body. She is not wrong. But aren’t we allowed to call out sin in the Christian church? Sure we are. And we should. But the issue here is that the most vile and spiteful attacks typically seem to be aimed at persons in the global Christian community that have a different tradition than our own. No one in the church should be in disagreement about the New Testament commands. Sadly though, there are some people in the church today that look at the practices and traditions they have as being on the same level of importance as the clear commands. And that’s when the cannibalism starts. We attack our body over traditions and practices that are not explicitly commanded in scripture. Division is willingly brought and the god of this world laughs in delight as we take it upon ourselves to weaken our witness and shift our focus away from the commands we were meant to obey. Friends, can we please stop eating our own body? Recognize and categorize correctly how you live out your faith in Christ. Encourage and strengthen the church in the New Testament commands. Rebuke those that are in disobedience but do all things in love. Act humbly and in unity with your brothers and sisters in the practices and traditions. Then we will be a body that is appealing to those looking at us. This song has haunted me for quite a few years. The words are strong, the message direct and could be considered over the top. But they aren’t without biblical basis. Over the last six years I have read the bible from cover to cover at least five times. (not a brag, just a fact) And every time I get through to the end of the Old Testament I find myself struck by how many prophets use similar words to proclaim God’s judgement on the people He has chosen. God’s desire for justice is incredible. To the point that He won’t even listen to our prayers when we are not in step with His desire for the poor and oppressed. That’s massive. Think about it. In the midst of all the idol worship and debauchery of Israel and Judah, God’s main reasoning for their eventual destruction was their lack of compassion and justice in the practice of their faith. Justice and righteousness worked hand in hand. So how does a Christian react to God’s demand for justice for the poor, the oppressed, the widow, the foreigner and the orphan? After much thought and a lot of prayer, I’d like to offer a few ideas. The starter for me is the fact that all people are made in God’s image. That means no matter what race, religion, social status or physical location that person is in, they hold the same image of the creator that I do. And each person on this planet is special to Him. So when they suffer, He feels pain. When a fellow image bearer has their life taken away due to an evil action, I am confident His heart breaks. And if each person on the earth is special to Him, are they special to you? Do you feel the pain God feels for their situation? When an injustice is seen, are you able to react as if that same action was being performed against you or your family? Does that change your perspective on what your reaction should be? 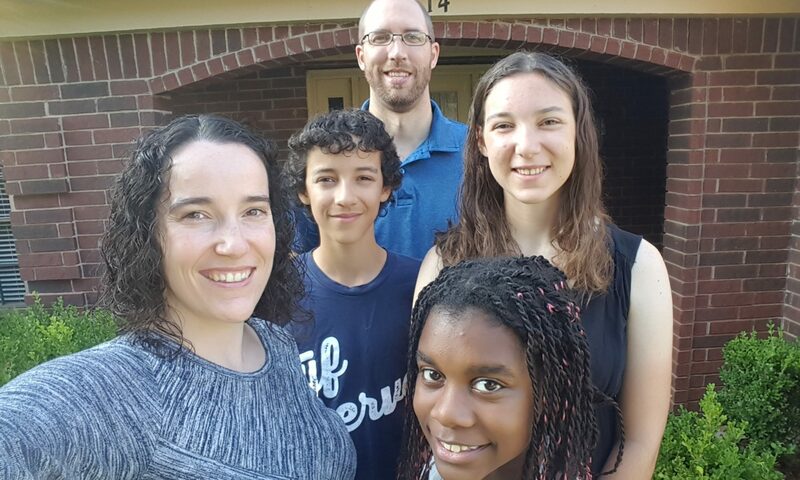 If it was my kids’ high school that was attacked, I would sure want all members of my Christian family to stand up and demand action instead of rationalizing why action isn’t necessary or possible. All of this causes my heart to grieve more and more when I see or hear about injustice in the world. Racism breaks my heart. Human slavery is disgusting. Abortion makes me want to vomit. Refugees being treated like people who are less than human is revolting. The acceptance of mass shootings in American society is abhorrent to me. These things should not happen if we were showing empathy and striving to establish justice. My wife is beautiful, and she is also incredibly wise. As we have talked over these issues and how we react, she repeatedly reminds me that speaking words, no matter how smart or biblical they are are useless without action. And that is one more reason why I am very excited about my upcoming transition to the 25 Group. In my role, I am going to be able to learn about more and more ministries around the world that are seeking to enact justice in various segments of society. And then I get to educate the Christian community on these works and provide opportunity to partner with them. In our previous seven years of ministry, we have been able to do a lot of work with refugees and immigrants and will continue to do so. But now we get to expand our focus and invite all of you to get involved! I’ve heard the statement “the issue is people are evil, and that will never change” or something similar. And it isn’t always spoken, but the sub-text to that statement is that since evil is rampant, we cannot do anything to change the situation. So why try? I’m sorry, but I cannot accept that statement as truthful. God would not be so forceful in His judgement if we were not supposed to resist and repel evil practices in the world. I mean, can you imagine if Jesus had decided that the human race was too evil and therefore not worth getting involved with? He could have, but He didn’t. He chose to bring eternal hope to us, the oppressed even though we weren’t deserving of it. Isn’t that the best example of justice going?